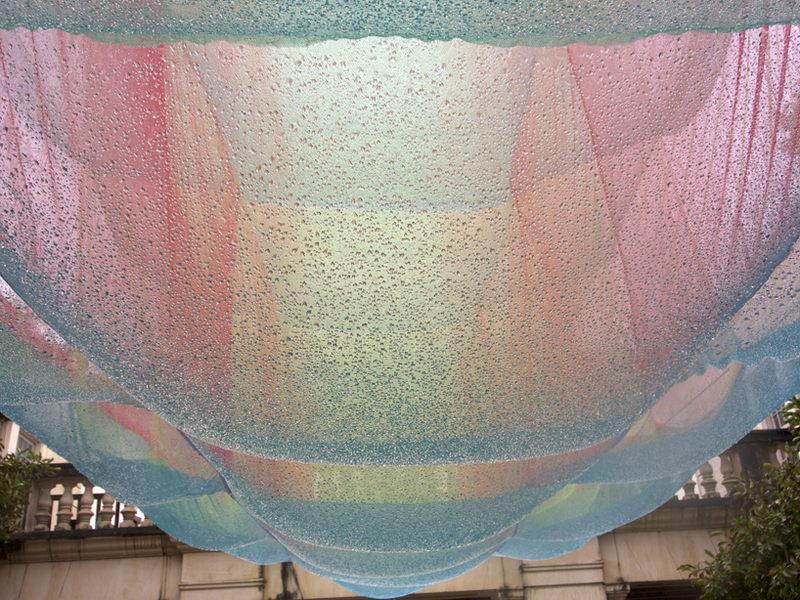 gently responding to wind movements and rain drops, ‘cubic prism’ by stockholm-based designer akane moriyama is a large cube-based structure made out of three different colors of textiles. 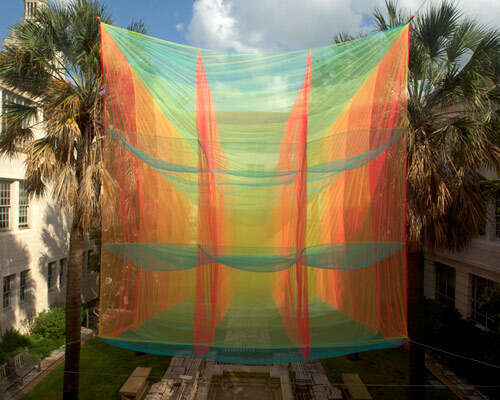 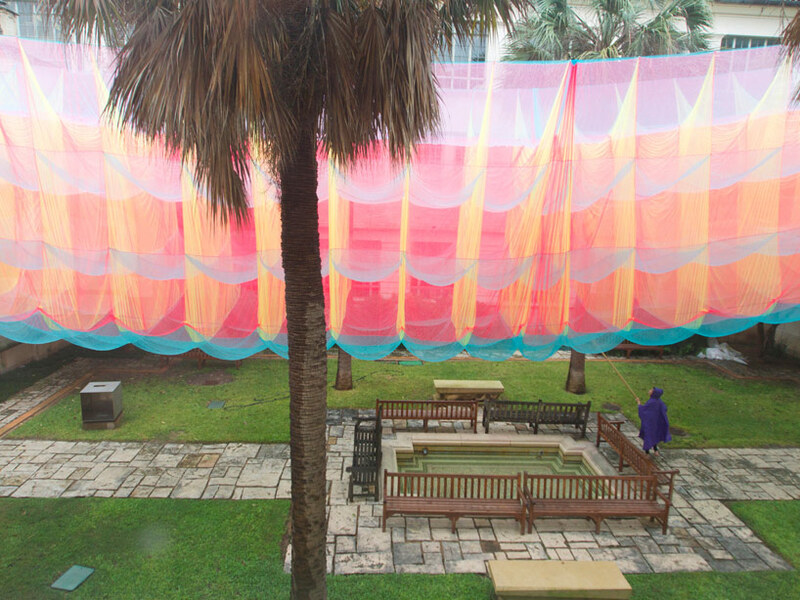 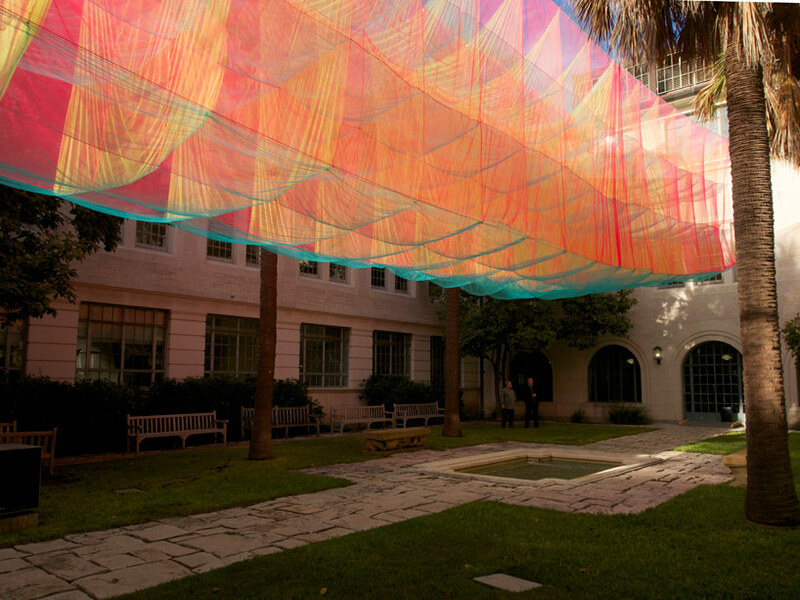 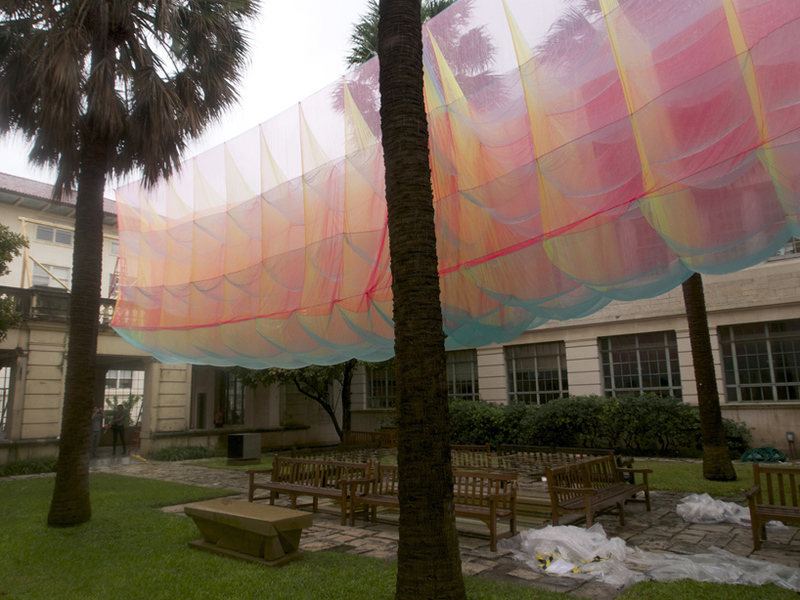 suspended between two buildings at the goldsmith hall in the university of texas, austin, the piece reacts to environmental factors, as the geometry of a rigid cube is replaced with soft semi-transparent fabrics. 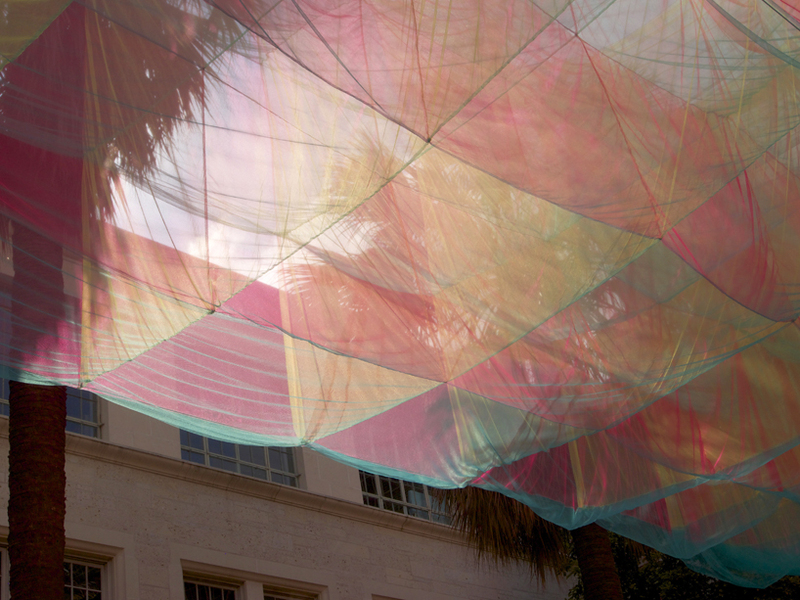 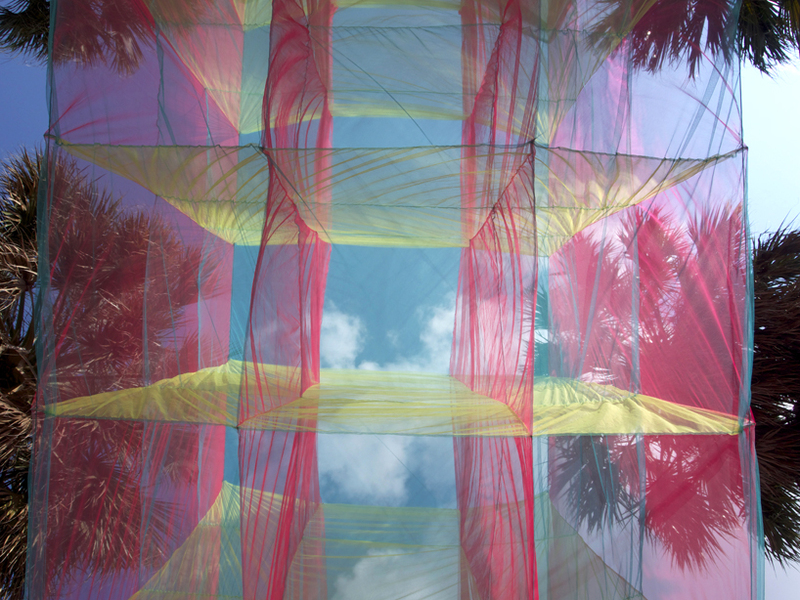 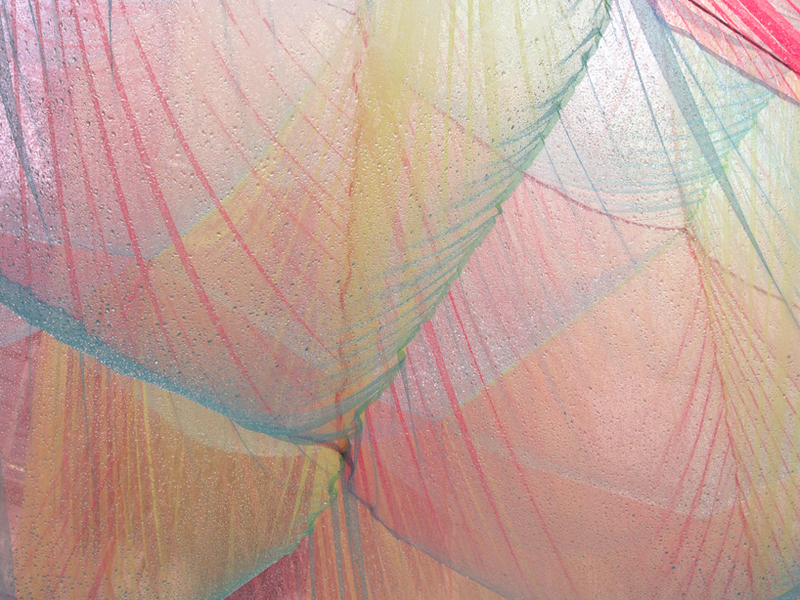 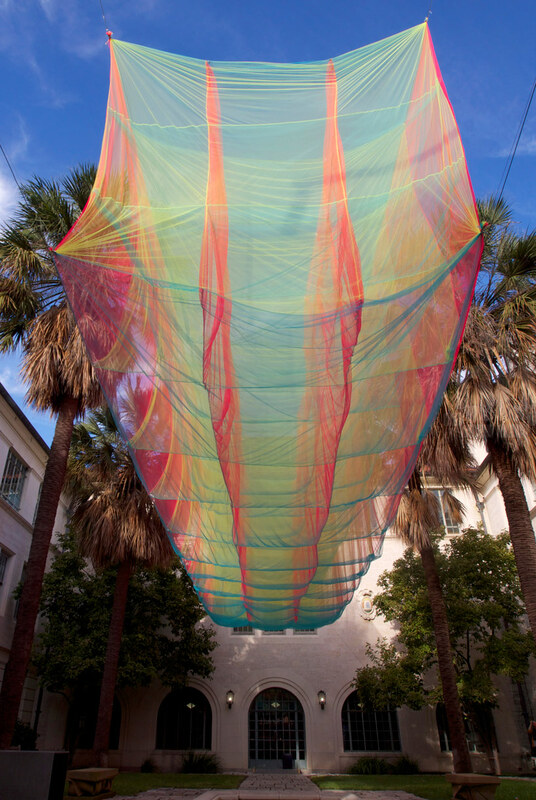 the installation’s opacity changes according to the way natural light is filtered through it, mixing the different colors – the transient prism continuously shifts its visual appearance. 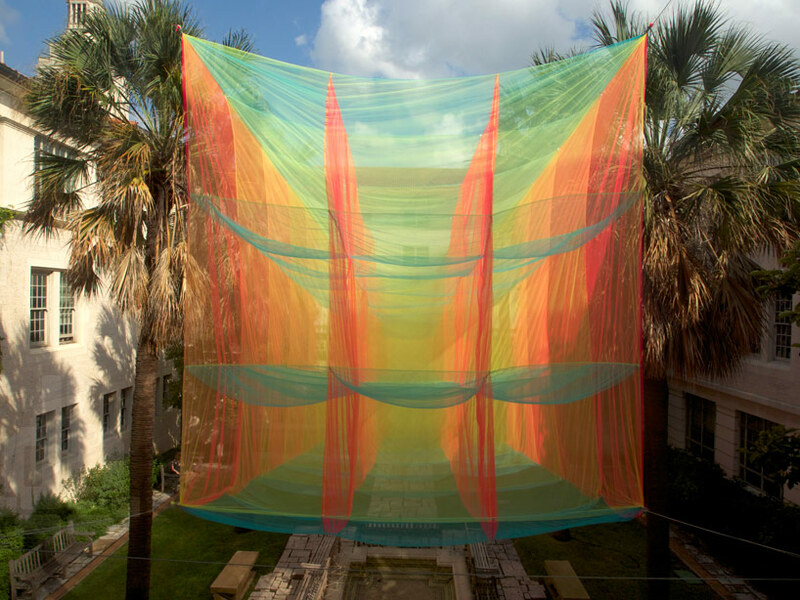 hanging naturally between the surrounding buildings, the hammock-shaped structure dramatically influences the nature of the square below.